Earlier this week, I chuckled along with my colleagues as we welcomed the official start of Spring with an icy blast and a sprinkling of snow. This winter has seemed never-ending, though frustratingly I am no closer to getting any real UK experience of climbing up slippery stuff with pointy things in my hands and on my feet. Between the commute (North West to East Midlands), the job search (contract ends at the end of May) and the house hunt, the winter of 2012-3 has not exactly been stuffed full of adventures. There have been a couple of fun trips, but sadly the pictures of those are trapped on a laptop currently under repair. The original plan I cobbled together involved a section of the Gritstone trail integrated into a circular walk. In good family tradition, I was determined not to pay to park, so we ended up starting from the Macclesfield canal, before cutting east towards the estate. Having passed by the house, we took a detour towards an interesting looking building on a rocky ridge. The Cage is a former hunting lodge and prison(! 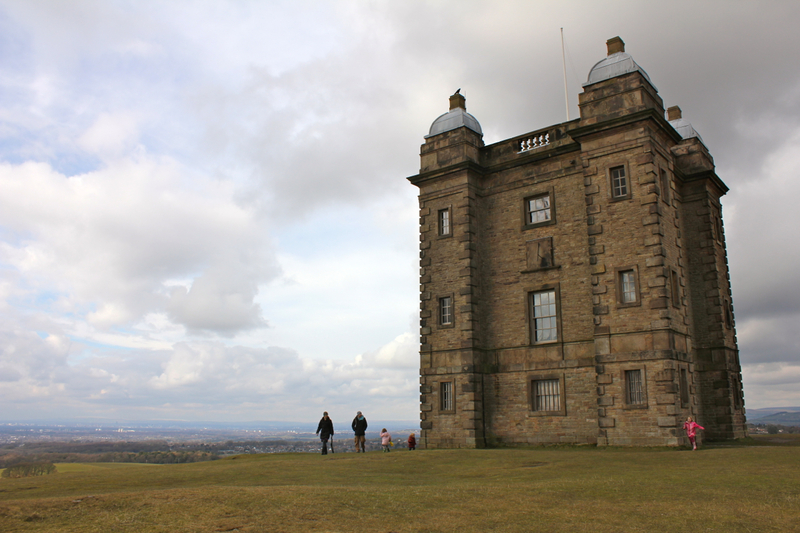 ), standing impressively above the valley and surrounded by beautiful landscape, deer and rolling hills. 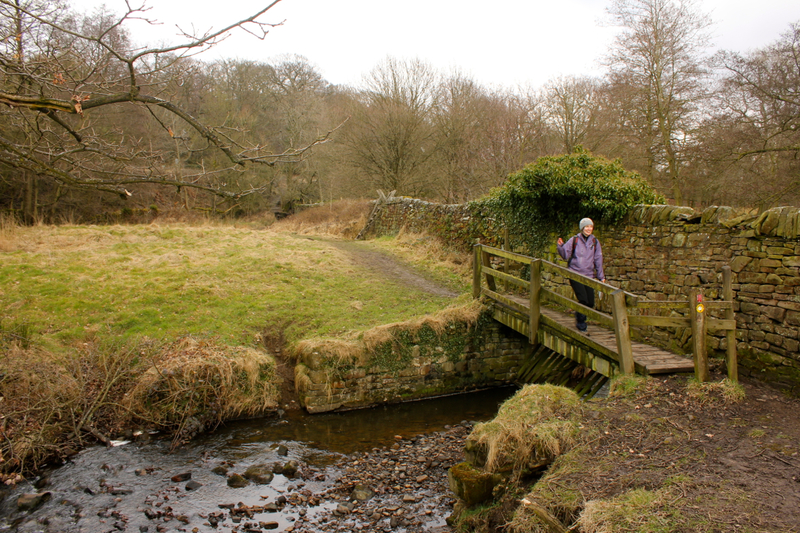 Having deviated from the planned route, we ended up avoiding the Gritstone trail almost entirely, instead recrossing the Lyme Park estate to walk alongside a small stream which wound its way alongside a train line. 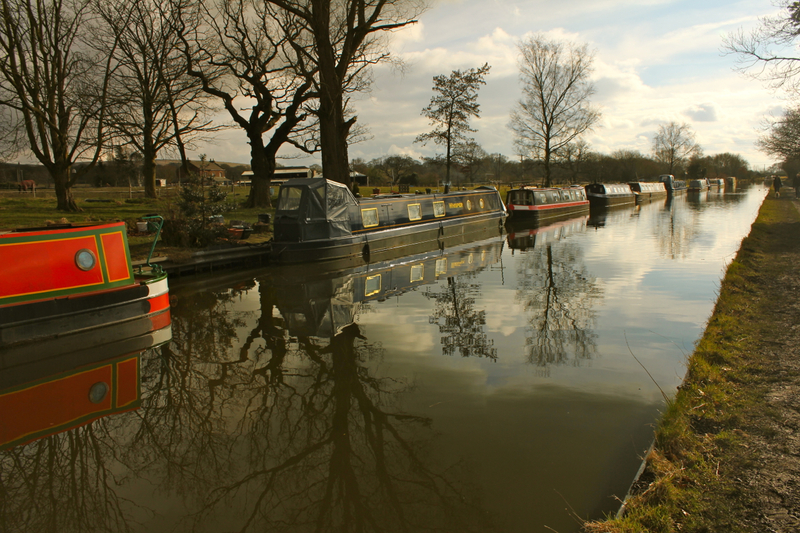 Having rejoined the Macclesfield canal, we walked into the sunshine, and for a brief moment I could believe that spring was on its way. Miniature Narcissi bloomed in pots next to the rows of canal boats, and I found myself longing to get planning, digging and planting. It’s at this time of year that gardeners feel themselves unfurling in the early rays of warmth, and without a garden to dig I feel like my roots are bare. Hopefully in the next few weeks, Spring will return in all seriousness. Perhaps then I can start thinking about getting back to the soil. Tags: Cheshire, hiking. Bookmark the permalink.